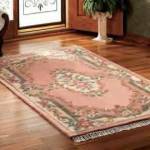 This blog provides tips and information about all types of rugs for people with a passion for rugs and/or anyone wanting to know more about rugs. We reveal a bounty of tips for decorating with rugs, the care and cleaning of rugs, as well as tips for picking the right rug(s) for your home or office. down, one option at a time, until you have a rug that's just right for you! As a favor to some other website owners, we have a link to their sites in addition to the blog entries. A complete guide to all types of area rugs, including tips for decorating with rugs, care and cleaning of rugs, as well as tips for buying rugs. Continue reading "Rug Cleaning Tips"
Southwestern Rugs, including Navajo rugs, have a special charm and they add an artistic touch, whether your home is rustic or contemporary. An Oriental rug radiates with majestic glamour and refined antiquity in a way unlike any other type of rug. Continue reading "Decorating Tips: Best Placement for Rugs Under Furniture"
Various styles of handmade rugs have been made for centuries and they are still better than most machine-made rugs. A Flokati rug is durable and yet stylish and adds a decorative touch to any room. Antique rugs are well-crafted collector’s pieces that have withstood time and still look great, whether on the floor or displayed as wall-art. A sisal rug made from natural fibers is an affordable, yet stylish alternative to more expensive rugs. 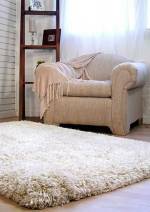 A sheepskin rug is natural, long lasting and very attractive. Plus it goes with almost any decor style. See it for yourself. 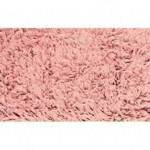 Shag rugs of today are stylish and long lasting... Not at all like the shag rugs of the early 1970s. Come and explore our site. Seagrass rugs are growing in popularity thanks to their all-natural appeal in addition to being durable and affordable. Continue reading "Rug Shopping Tips and Sources"
Besides their practical purpose, rug runners for stairs give your stairway a new look and feel. Lots of design and color combinations. Continue reading "Rug Runners for Stairs"
Come and see how rug runners for halls can easily transform your plain and boring passageways into areas of charm and appeal. Continue reading "Rug Runners for Halls"
Persian rugs are available in timeless, classic patterns as well as contemporary designs to add warmth and sophistication to any room. The outdoor rugs of today are not at all like the ugly, crusty mats we used to have on our decks and patios. Navajo rugs are the most popular of the Southwestern style of rugs and they are as durable as they are artistic and beautiful. 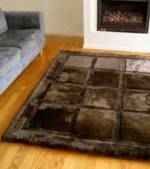 Modern style rugs cover a wide range of artistic designs that help you to decorate a room any way you want. Continue reading "Modern Style Rugs"
Kitchen chair pads are more popular than ever, and now you can get chair pads, braided rugs, stair tread rugs, and trivets that match! Continue reading "Kitchen Chair Pads | Stair Tread Rug"